Tara at work keeping SPES organized! Tara Gregor is a self-confessed nature lover but at SPES she does not spend her time out in the field. Instead she helps manage information for SPES’s Volunteer Coordinator, Julie, keeping track of thousands of volunteer hours and making sure the volunteer programs run smoothly. All of SPES’s projects from bird monitoring to school field trips rely on volunteers so keeping track of this army of helpers is important work. 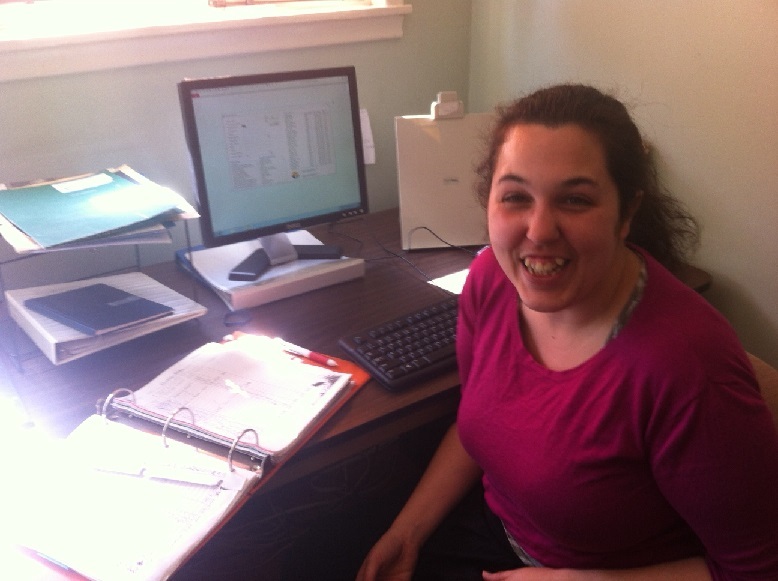 It’s been more than six months since Tara first joined SPES and she’s quickly become a key member of the team. Although Tara is from BC and used to regularly visit the Park, the idea of volunteering was something new.